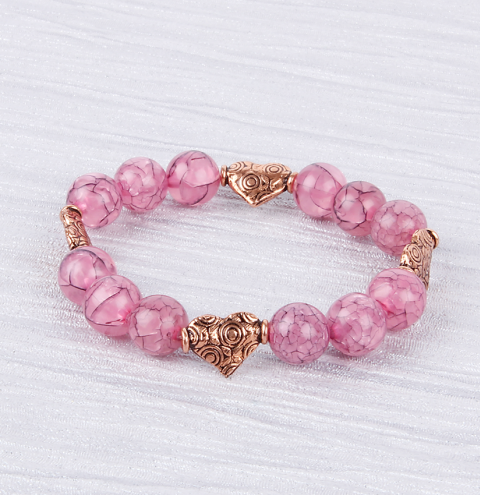 Make a cute bracelet with unusual crackle beads from the SALE! Available in more COLOURS. To make a bracelet that is 6.5 inches long, thread on 3 crackle beads to the elastic cord, then a heart bead and repeat three more times. Cut the elastic leaving a tail long enough tail to tie the ends. Tie a double knot and carefully add a drop of Fevi Kwik for extra security. Cut the tail ends of the elastic and allow the glue to fully dry before wearing your bracelet.